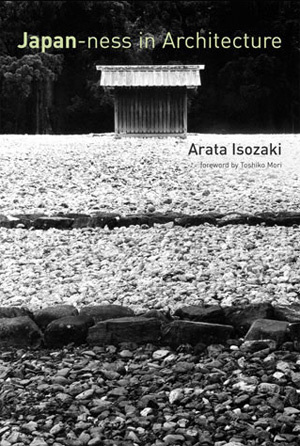 Combining historical survey, critical analysis, theoretical reflection, and autobiographical account, these essays, written over a period of twenty years, demonstrate Isozaki's standing as one of the world's leading architects and preeminent architectural thinkers. Japanese architect Arata Isozaki sees buildings not as dead objects but as events that encompass the social and historical context—not to be defined forever by their "everlasting materiality" but as texts to be interpreted and reread continually. 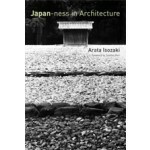 In Japan-ness in Architecture, he identifies what is essentially Japanese in architecture from the seventh to the twentieth century. In the opening essay, Isozaki analyzes the struggles of modern Japanese architects, including himself, to create something uniquely Japanese out of modernity. He then circles back in history to find what he calls Japan-ness in the seventh-century Ise shrine, reconstruction of the twelfth-century Todai-ji Temple, and the seventeenth-century Katsura Imperial Villa. He finds the periodic ritual relocation of Ise's precincts a counter to the West's concept of architectural permanence, and the repetition of the ritual an alternative to modernity's anxious quest for origins. He traces the "constructive power" of the Todai-ji Temple to the vision of the director of its reconstruction, the monk Chogen, whose imaginative power he sees as corresponding to the revolutionary turmoil of the times. The Katsura Imperial Villa, with its chimerical spaces, achieved its own Japan-ness as it reinvented the traditional shoin style. And yet, writes Isozaki, what others consider to be the Japanese aesthetic is often the opposite of that essential Japan-ness born in moments of historic self-definition; the purified stylization—what Isozaki calls "Japanesquization"—lacks the energy of cultural transformation and reflects an island retrenchment in response to the pressure of other cultures.